태양열을 이용해 불을 밝히는(깜박임용) 키트입니다. 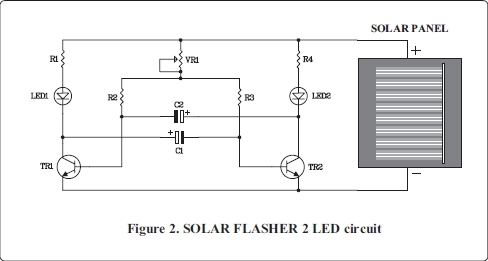 A basic solar blinking light circuit that suits those who are interested in electronics. Easy to assemble and to understand with few components and low cost. Two LEDs of the circuit will alternatively blink and the blinking speed is adjustable. 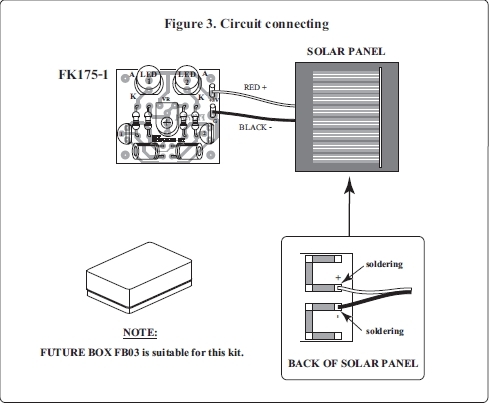 - Power supply from solar panel. - Solar panel dimensions : 60 x 60 mm. - Adjust flashing speed with trimmer potentiometer. - PCB dimensions : 35 x 32 mm.